In case you missed it, 2017 was not a banner year for airline travel. From dragging an unwilling passenger off a plane to barring young women wearing leggings from boarding a plane, to nearly countless other incidences of dubious customer service, all airlines grappled with their share of bad publicity last year. Once upon a time, if something broke down mid-flight, there was little the flight attendant could do but apologize profusely and recommend the passenger contact customer service upon landing. Small comfort if the outlet powering your tablet went on the fritz. Now American Airlines is empowering flight attendants to do a little more. The flight attendants now have the ability to grant frequent flier mile to customer airing their concerns, according to CNN Money. 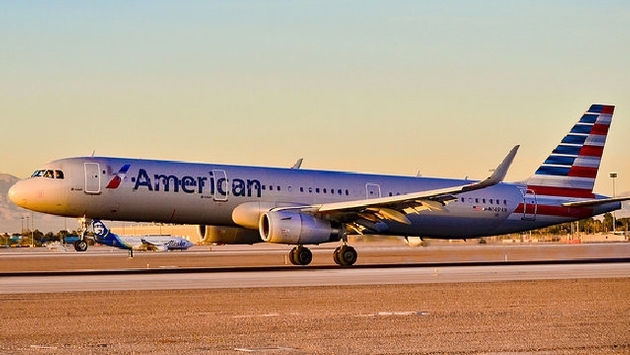 With an eye to reducing customer complaints, American "wanted to provide this at the point of first contact," said American spokesman Ross Feinstein, according to CNN "We want the customer to get off the plane feeling good about their experience. It makes the customers feel good and it makes the flight attendant feel good." Previously, only American’s gate agents and reservation agents had the power of frequent flier miles at their disposal to soothe ruffled feathers. Although there’s no chart detailing miles per infraction, Feinstein said the miles awarded would depend on the severity of the issue. American has seen its share of bad headlines in 2017, including a national travel advisory issued by the NAACP warning travelers about alleged discrimination by the airline. Even still, the airline appears to be doing something right. For the period ranging from January through September or 2017, American Airlines had the most customer complaints (not unexpectedly as it also had the most systemwide flights.) However, those numbers also reflected a decrease by about 20 percent from the previous year. According to CNN, Delta has had a similar program in effect for five years, while United and Southwest did not respond to requests for information.